As the war in Afghanistan comes to a close it signals the end to one of the longest periods of protracted warfare in American history. For well over a decade our nation’s young men and women volunteered to serve in time of war, and over two million of them have seen firsthand the face of conflict. They have learned things that are not taught in any school and gained experiences that could not be garnered in a lifetime spent following a different path. These veterans, some still in uniform and many more who have already left the service, have tremendous yet unrealized value for the corporate sector. They are leaders who have matured in austere and often dangerous circumstances as well as being highly trained in their martial specialties. Despite their experience, veterans have difficulty transitioning from the military to the corporate sector. Many are daunted because they feel that they must start all over again. There are many opportunities for them to go back to school, but it can be frustrating for vets because they feel that their experiences are not valued and the time that they spent serving our country was wasted. Leading the charge is the University of Southern California’s Marshall School of Business. The school recognizes that military professionals have learned so much in their service that it makes sense to not just value such lessons but to also leverage them in an educational context. In concert with the California Department of Veterans Affairs, alumni, and veterans, USC has developed the Master of Business for Veterans (MBV) degree program. The MBV is specifically designed to build upon the experience that veterans have gained in their military careers by adding coursework in areas such as finance, accounting, statistics, strategy, marketing, entrepreneurship, business leadership and communication and others that are consistent with traditional MBA programs. Class sessions meet Fridays and Saturdays over two semesters with minimal interruption to the careers of working professionals. The MBV degree program is constructed of lectures, projects and course work that are delivered via distant learning, with significant projects and course work being primarily completed during the 16 residential sessions. It is a graduate level program, and as with all programs at that level there are prerequisites for enrollment. 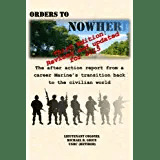 In a nutshell, they are a minimum 3 – 5 years of active and honorable service in the military, a bachelor’s or equivalent degree, two letters of recommendation, and they must complete and submit two essays for the review of the matriculation panel. Standardized test scores such as the GMAT or GRE are not required, but a good set of scores would certainly help. The program is an innovative response to the growth in active duty military and veteran communities. Not simply a mashup of the traditional MBA curriculum, the program is an integrated educational experience that focuses tightly in leveraging the skills of military people to ensure its success. Class cohorts are small, in the 20 – 40 student range, and the entire class will consist of those who meet the military service requirements. Like the military, it is both demanding and fast paced. The course is completed in half the time of a normal resident MBA program, with classes starting in the fall of the academic year and graduation coming the following summer. Active duty and veterans can take advantage of the Post 9/11 GI Bill to help defray the cost. Students will learn from world class professors in a world class educational environment, and in the end both the veterans and the corporate sector will benefit from USC’s leadership in educational innovation. James Ellis, the dean of the USC Marshall School of Business, says it best, “This is an important program for Marshall, serving a population that has provided outstanding service to our country while creating valuable leaders and managers for the corporate community.” My hope is that Dean Ellis’s vision spurs other top-notch schools to create programs like the MBV for graduate, undergraduate, and continuing education. For more information about the program and the admissions process, please go http://www.marshall.usc.edu/mbv or contact the program office at mbv@marshall.usc.edu or 213.740.8990.